Contouring is something that I have been trying out and embracing over the last few months. I never had much time for it, somehow in the mad rush to get my makeup done, contouring was something that never really crossed my mind. Over the last few months, I have been picking up products to use for contouring- the Sleek Contour Kit, Chanel Soleil Tan de Chanel, Yves St Laurent Touche Eclat, and I have had varying degree of success with both. During a recent Blank Canvas Cosmetics shopping spree, I finally got my hands on the Contour Palette which seemed to be out of stock all the time (fuelling my desire to own it all the more!) and some contouring brushes. The brushes I bought on this occasion were the F15 and it's larger first cousin, the F16. The F15 Small Contour/Highlight brush is a bargain at €13.29 and I use this to apply colour in the hollows of my cheeks or to dust some highlighter over my face to complete a makeup look. 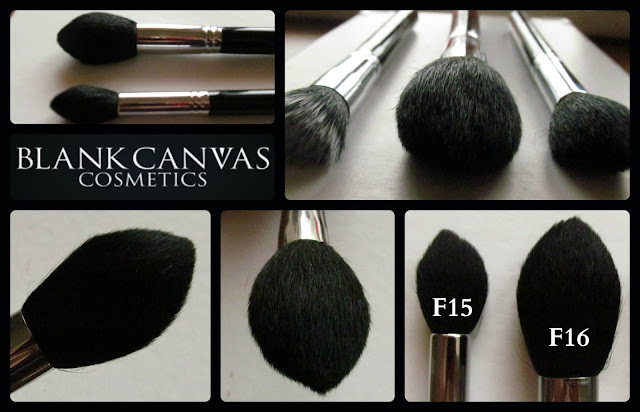 The F16 Large Powder/Contour brush sells for €17.09 on the website (link here) and it was the shape of this one in particular that really appealed to me because I do not have anything else quite so big and tapered in my collection. I use this for powders generally, like when I am setting my foundation with powder, and also for contouring using the tapered end. The bristles are silky soft, made from natural goat hair and they pick up and distribute powder very smoothly and effortlessly on your face.They also wash quite well with Johnsons baby shampoo. I have only experienced very minor shedding with this brush- maybe a hair or two- and it washes and dries quite well. 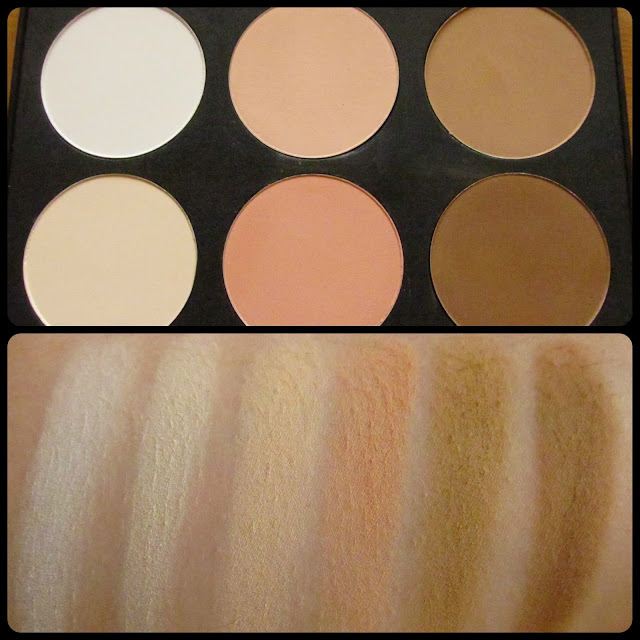 This contour palette seems to be one of the best sellers on the website and I can see why. I really wanted a powder contour palette because the powder just gives it a more natural look which is more suitable for daytime, more so than the cream contours that I have tried. This palette also appealed to me because the shades were quite light in colour- I was worried that the bronzers would be too dark and look muddy on my face, so I was delighted when I finally swatched them myself and saw that they were a nice fit. In this palette, you get six really decent pans of powder, and the powder is nicely soft and pigmented without alot of unnecessary fallout. I have used all six colours in this palette and I must say, it has really taken my interest in contouring to a whole new level. It looks incredibly natural. This palette is always flying out the minute it arrives in stock, but BCC give an estimate of when they expect the product to be back in stock, so if you see one of these estimates and you want this palette, set a reminder in your phone so you can get your order in before they disappear again. 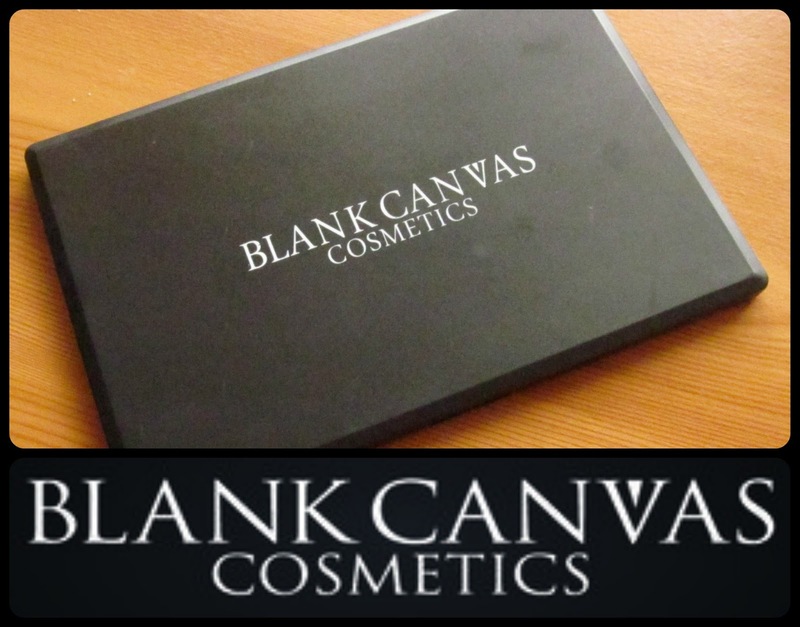 So there you have it- if you are a newbie to contouring and would like some quality products that don't break the bank, I recommend you get onto the Blank Canvas Cosmetics website and pick up this palette and these brushes and get practising! I really think you will not be disappointed!